What began in the world of finance has moved into the power sector. Blockchain, a nascent technology most often associated with cryptocurrency, is a new frontier in the energy space, changing the way power is traded, with new business models for peer-to-peer and wholesale transactions, and a growing number of projects worldwide. The power industry has undergone a transformation over the past several years, with utilities embracing new technologies, new sources of generation, and relying on data to make their operations more efficient. Another emerging technology also could be transformative. Blockchain, originally devised for digital currency such as bitcoin, has moved into the energy space, allowing digital information to be distributed across networks. The idea is to allow consumers, be they individuals or commercial enterprises, to buy and sell energy directly between one another, in a peer-to-peer (P2P) trading manner. Blockchain is well-suited to this because it creates a transparent, auditable, and automated record of energy generation and consumption. It can result in energy efficiency and cost savings. "There are dozens of potential applications of blockchain technology in the energy sector," said Jesse Morris, chief commercial officer of the Energy Web Foundation (EWF), an open-source, scalable blockchain platform founded in 2017 to "accelerate the commercial deployment of blockchain technology in the energy sector." Morris told POWER: "Some [applications] have to do simply with making the mundane more efficient, and making sure a basic transaction between a utility and their customers is a good one. 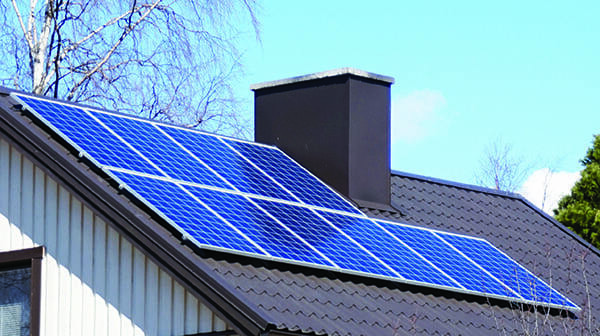 For example, many utilities offer green power purchase programs for their customers. Programs like these [and markets for Renewable Energy Certificates (RECs) in general] have noble intentions, but are highly manual, opaque, inaccessible for most smaller participants, and largely unable to support higher-level functionality [such as consumption-linked purchasing or carbon-impact selective purchasing]." The New York-based Indigo Advisory Group, which works with utilities and energy companies on market strategies, technology, and innovation services including blockchain, has studied use cases for decentralized generation, grid management, metering, electric vehicle (EV) charging, and the Internet of Things, which includes blockchain applications for the "Connected Home" market. As an example, blockchain technology helps solar power generators (Figure 1) feed excess electricity into the local grid, or sell it to other customers, and receive compensation directly from the customers rather than relying on a third party. "It can be a disruptive technology for energy," said David Groarke, managing director of Indigo, in an interview with POWER. "In our work with utilities, the first thing they want to know is, is this landscape stable and are there standards? Utilities, and power companies more broadly, are confused about what solution to go for. The market landscape for blockchain is very technology-driven, [but] utilities should look at the value chain more, and the technology second. It should be more of a business-led discussion, rather than a technology-driven discussion. There's a real need for utilities to do proof of concept, to experiment a little bit." Indigo has identified dozens of use cases of blockchain technology in the energy industry, maintaining an ever-evolving list in its "energy blockchain use case repository." Many of these use cases are pilot projects, with a number of efforts underway in Europe. There are also projects in China and Japan; in China, industrial technology developer Wanxiang Group plans a $30 billion investment in a blockchain-backed "smart city" project. Other countries developing blockchain projects around energy include the U.S., Australia, New Zealand, and South Africa. Four Japanese groups–Kansai Electric Power Co., IT service management company Nihon Unisys, Mitsubishi UFJ Bank, and the University of Tokyo–in November said they are collaborating to study the potential of blockchain technology in electricity distribution. They will look at permitting solar power suppliers to sell excess energy using blockchain. Said EWF's Morris: "In a blockchain-based market for services like this, each generating asset can receive a digital identity that links to all production of that asset. This identity would also link to each owner of the corresponding credit. This record of identities and ownership would reside on the blockchain for all market participants to use. Smart contracts could then provide automated additional functionality, such as mapping kWh production to carbon offset or automating credit purchasing based on a consumption profile. "Similar architectures can be applied to other utility operations, such as including customer billing and electric vehicle charging settlement. This isn't some far-off reality; from RECs to EV charging, several Energy Web Foundation affiliates, from the UK to Southeast Asia, are experimenting with these use cases today," he said. Caroline Stewart, an associate with Vinson & Elkins LLP, in the firm's Houston, Texas, office, in an interview with POWER said of blockchain: "I think the biggest issue [for U.S. utilities] is regulatory uncertainty. The electric power industry is governed by the public utilities commission in each state, along with other entities, and right now blockchain developers don't know how everything is going to be regulated." Stewart said regulatory issues include "how to address reliability and ratemaking. Reliability, with distributed energy resources (DERs) popping up everywhere, there is more and more capacity being added to the grid. Regulators will have to figure out how to match supply with demand and how utilities can recoup their investments. These DERs are using the wires the utility has already funded to create. One way utilities could recoup their investment is through microtransactions, fragments of a penny for each use [of the grid]. This is available using blockchain technology. There could be a fee for the use of the wires, and blockchain would enable utilities to charge [and collect] that fee. Smart contracts can help with this." Said Stewart: "Ratemakers are already considering how to change the ratemaking system. It's troubling when you think about the investment that utilities have made in this [transmission and distribution] infrastructure, and that [others] can just step in and use it. There has to be a way for regulators to come in and help [utilities]." Most U.S. blockchain projects are still in a conceptual phase, though the U.S. Department of Energy (DOE) in 2017 contracted with several groups, including Siemens and the Tennessee Valley Authority (TVA), to develop blockchain cybersecurity technology "to help secure distributed energy resources at the grid's edge, increasing the trustworthiness and integrity of complex energy exchanges." The first P2P U.S. blockchain energy transaction occurred in New York City in 2016, when Eric Fruman, a Brooklyn resident, sold excess power from his solar rooftop installation to Bob Sauchelli, the former national director of Energy Star. That began a blockchain-enabled project in which five homes on one side of Brooklyn's President Street sold their excess power to five homes on the other side of the street. 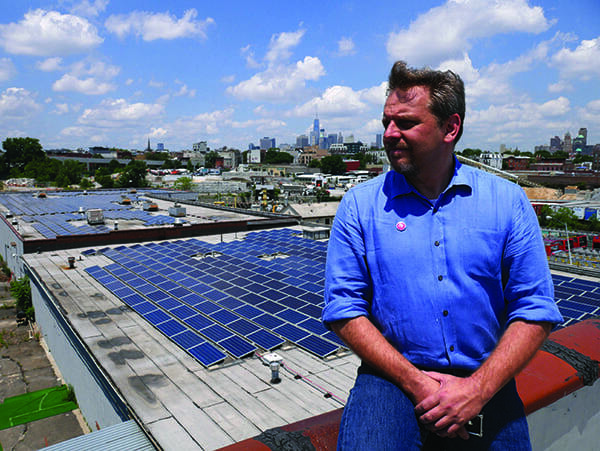 That project underpinned the current Brooklyn microgrid, a small-scale solar power venture in the Gowanus and Park Slope neighborhoods of the borough. The microgrid enables residents to trade and sell their solar energy locally, via their rooftop solar systems, through a joint venture called TransActive Grid (TAG). TAG, which began operating in 2016, is run by Brooklyn-based LO3 Energy, a company founded by Lawrence Orsini (Figure 2), and ConsenSys, a "venture production studio focused on building and scaling tools, disruptive startups, and enterprise software products powered by decentralized technology, specifically Ethereum." (Ethereum is a decentralized software platform for blockchain.) LO3 Energy has developed Exergy, what it calls a "permissioned data platform that creates localized energy marketplaces for transacting energy across grid infrastructure." The Brooklyn project provides a blueprint, at least on a small scale, for how blockchain can be applied to power generation. For its part, ConsenSys Labs in late November announced it has led a $2.1 million seed round for AZTEC, a startup that's working to make Ethereum transactions private so financial institutions can comfortably use the blockchain platform. "What's really taken off in the past 18 months is wholesale trading," Groarke said. "A lot of those applications are taking off, especially in Europe and also in the United States." He said blockchain first made inroads in financial services, then moved into supply chain management. "Energy is probably a couple of years behind financial services and supply chain," he said, with Europe at the forefront of adoption. "A couple of things made Europe jump ahead. One is the core developer network–the largest developers are based out of Germany, out of Europe. The second thing is the regulatory landscape. In Germany there are some progressive laws that have helped. They have processes [for data collection and distribution] that are not in place in the U.S. right now." 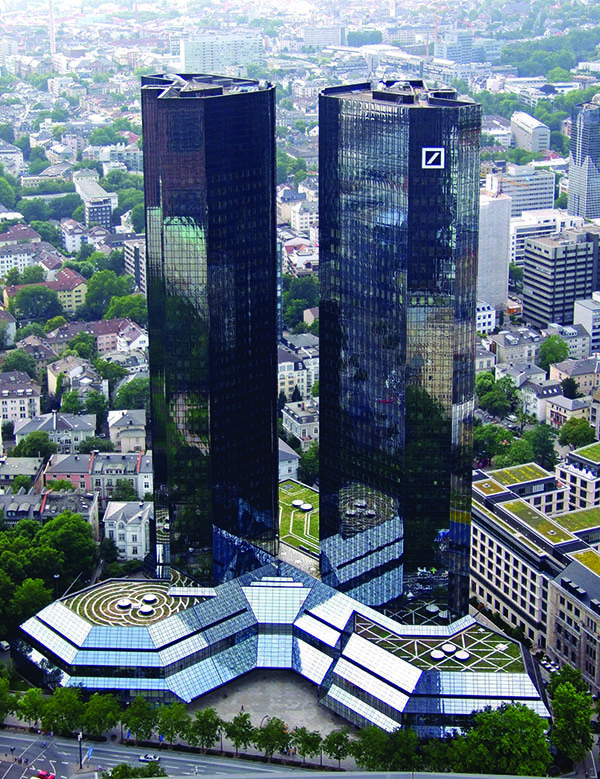 For example, Germany banking leaders Deutsche Bank (Figure 3) and Commerzbank have joined R3, a banking consortium focused on advancing blockchain and distributed ledger technologies. Innogy, a subsidiary of RWE, one of Germany's largest utilities, is involved in two blockchain-related groups: Share&Charge and Conjoule. Share&Charge is an open network enabling mobility companies to offer a "smart charging" experience; Conjoule focuses on P2P energy trading solutions using blockchain. Groarke noted that "Europe has had some really aggressive renewable energy bills. They are really looking to incorporate distributed energy technology, like blockchain. There are some places in the U.S., like New York, California, and Hawaii, where there's a willingness to look at this. There are a bunch of startups that have entered the blockchain space in the last 18 months, small companies that are going out and exploring the space. But there are large companies too, like IBM." Ethan Rogers, the program director for industry at the American Council for an Energy-Efficient Economy, in a recent blog post wrote that "companies are already exploring uses of blockchain to save energy." Rogers said Walmart is using blockchain to track products along a supply chain. He also noted that "a second blockchain application could spur the adoption of electric vehicles. EVs need recharging to go long distances, and new software apps enable individuals to rent out their private charging stations. These apps use blockchain technology to record such peer-to-peer transactions. EV owners can use the rent revenue to cover the cost of their charging stations and cars, thus enabling more people to buy EVs and use less energy." Groarke said U.S. utilities need to "touch the technology and get familiar with it. And realize this is just Phase 1." He said that utilities are understandably risk-averse, particularly in today's power generation climate, so jumping into blockchain is "further down the continuum. We're looking at a decade out, probably at least 10 years, maybe multi-decades, before there is widespread adoption. We know that access to data, and data standardization, is a huge issue for utilities." European nations and others, though, have projects underway that could be examples for U.S. companies. Berlin, Germany-based Lition is developing a scalable public-private blockchain with deletable data features, made for commercial products. It is designed with Lition's live P2P trading use case, and co-innovated with SAP, a Germany-based software corporation. The company in November told POWER: "So far, there have been several blockchain-based energy solutions that issued an ICO," an initial coin or currency offering, which involves funding using cryptocurrencies, usually sold as tokens. "The three main projects are WePower from Lithuania, which is active with a PoC [proof of concept]; Restart Energy, which is also active with a PoC (their existing customer base is solely from their traditional non-blockchain energy business); and Power Ledger from Australia, active with four pilots in Australia and New Zealand," Lition wrote. "All those projects share a similar conceptual frame in that they use a blockchain-enabled platform to trade energy. While these projects are all still working on establishing the platform and/or starting in smaller markets, the Lition Energy Exchange is active, not only with a pilot but fully fledged, and running in a 41-million-household mass market. And all this has happened in Germany, the largest and most-regulated market in Europe," the company said. Lition said its "Energy Ecosystem will be developed in partnership with energy retailers, electric vehicle charging station providers, smart meter manufacturers and grid companies. Each of them will be connected to the worldwide energy ecosystem enabled by the Lition Energy Blockchain." The company said, "Technically, every customer and every producer can run an individual node in the network. Participation is at their discretion. As such, each of them confirms blockchain transactions and contributes to the succession of the blockchain." The company said customers also can access a custom API [application programming interface] "if they want to optimize their energy algorithms themselves. Energy customers who just want to benefit from the producer of their choice and low energy prices can delegate blockchain engagement and trading to Lition." Power Ledger, noted for its projects in Australia and New Zealand, is an Australia-based software company that "develops cutting-edge blockchain energy solutions for the people of the world." The company deployed its first commercial U.S. project in April 2018, a blockchain-based P2P energy trading system at Northwestern University's campus in Evanston, Illinois. The platform, in partnership with the Florida-based Clean Energy Blockchain Network, enables the school to trade energy both on campus and between other campuses, using pre-existing electricity meters. Students in Northwestern's Master of Engineering Program provide monthly measurement and verification, evaluating energy blockchain applications and use cases with data hosts across the Chicago area. Siemens and GE are two energy heavyweights exploring blockchain. Siemens is working with LO3 Energy on the Brooklyn microgrid through its Digital Grid division and its next47 startup financier. Siemens in late November said its Energy Management and Power Generation Services divisions were partnering with Morris' EWF group. Siemens in a press release said, "Transactive energy applications will be a major force in the transformation of the energy sector toward decentralized, decarbonized and digitized energy systems, where distributed energy resources such as solar, wind, stationary storage systems, electric vehicles, heat pumps and others as well as flexible loads are playing an ever-increasing role. Blockchain technology enables transactions in a decentralized network to be validated efficiently and securely. This enables new business models of energy and flexibility trading between consumers, prosumers, producers and network operators, [accounting for] user preferences and network restrictions. Ultimately, blockchain-based applications and business models could help increase the overall efficiency of future energy networks and enable new forms of asset and project financing." GE Power Digital in October joined a study by German energy agency Deutsche Energie-Agentur (dena) that is evaluating the use of blockchain technology for energy industry applications. The study will look at the economics and reliability of blockchain for energy. GE in a news release said the study will explore the added value of blockchain compared to alternative systems, identify use cases, and conduct simulations around them. Results of the study are expected this year. Andrea Kuhlmann, dena's CEO, said, "At its foundation, blockchain offers the best conditions for the exchange, validation and documentation of valuable data in an integrated energy system. We have come to a point where it is necessary to verify whether the technology's potential can be implemented in practice from a technical, economic and legal standpoint. The energy system is a critical infrastructure that must work securely and be protected by digitization at the information and communication technology level. Blockchain technology can help with that–we want our study to show precisely how." GE also recently said it is looking at how blockchain technology could be incorporated into a virtual power plant, perhaps via the company's Predix software platform that collects and analyzes data from machines. Steven Martin, GE Power's chief digital officer, in a news release said it is in response to growth in distributed power generation as the industry moves away from larger, centralized, electricity production. –Darrell Proctor is a POWER associate editor.